I greeted our friends, corralled Judah and Addise to the table, and began taking our seats. 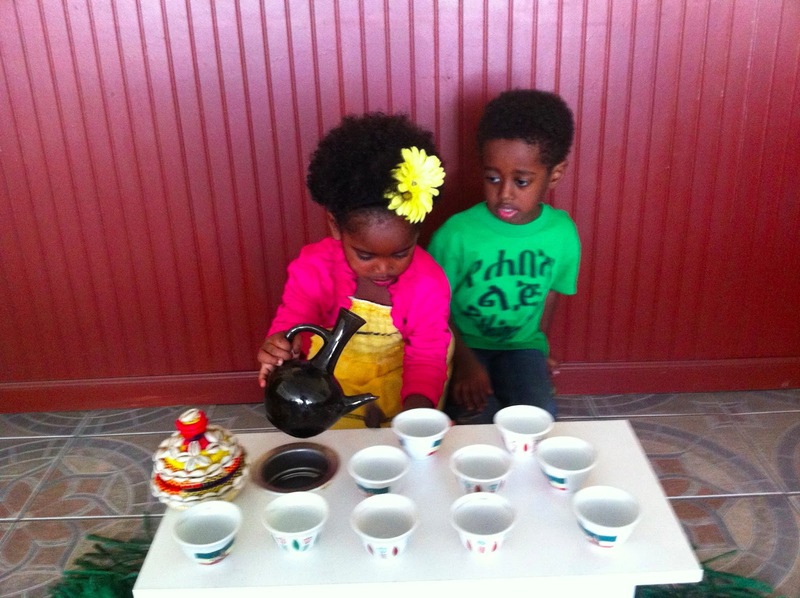 Aster was already leaning over, speaking to Judah in Amharic. She was talking to him and then I heard him say in English, "My name is Judah." Tears flooded my eyes and I'm sure my face looked like I'd seen a ghost. I gasped at Aster, "he understood you?!?" "Of course. Once he knows Amharic, it's always in there." she nonchalantly replied. I could hardly process what was happening. 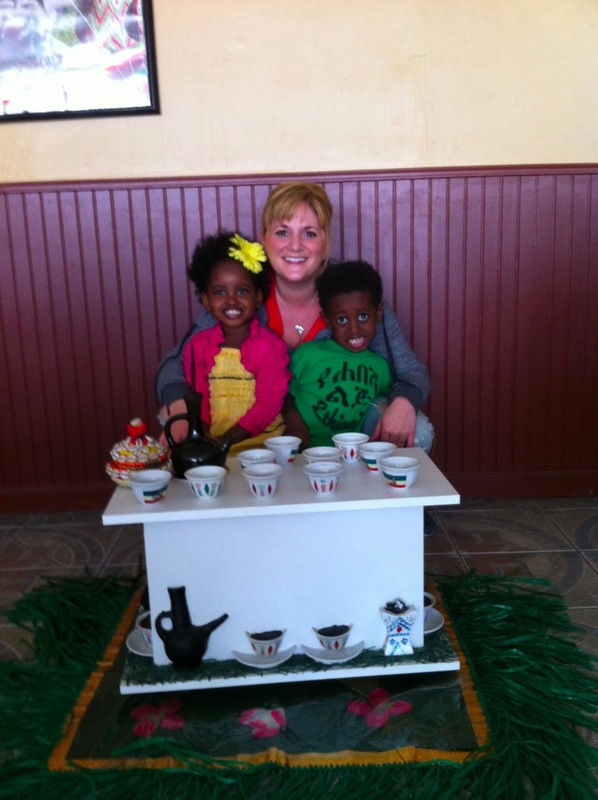 My son lived in Ethiopia for 2 1/2 years and has been home for over 2 years. For nearly half his life he's barely heard Amharic. But it all rushed back to the surface. "Is she your older sister or younger sister?" ... "She's my little sister." "Do you want that to drink?" ... "Yes, I want the orange juice like them." "Thank you for coming here today." ... "Thank you." A few weeks after this lunch, I'm still overwhelmed at what happened. First of all, my son is smart. Second, he's lost so very much. He lost his language (I'm confident he's lost two: Amharic and his tribal language) at an age when language was so important to his development. Third, we have an opportunity to preserve remnants of his birth language through experiences like this with Aster. Set-up for a traditional coffee ceremony...a very special Ethiopian tradition. Addise pretending. Judah indulging her. 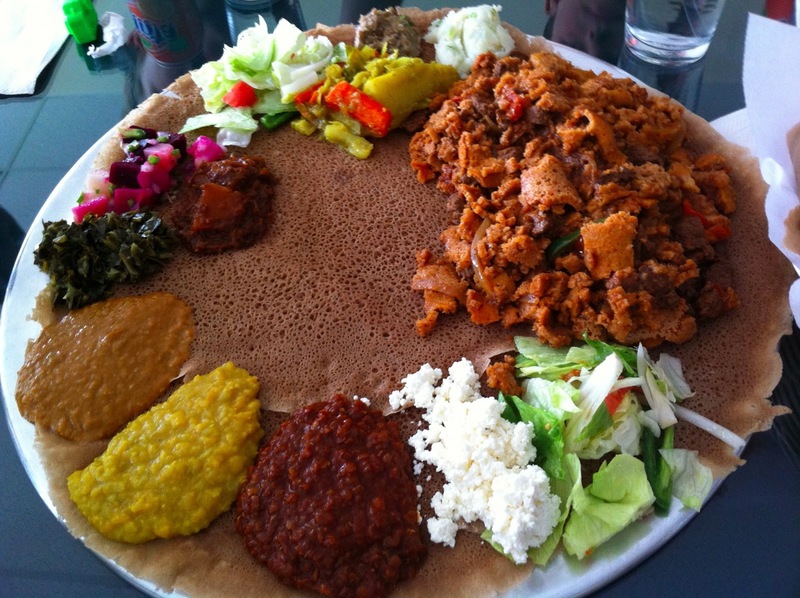 Traditional Ethiopian meal: doro wat, beef tibs and vegetables on injera. 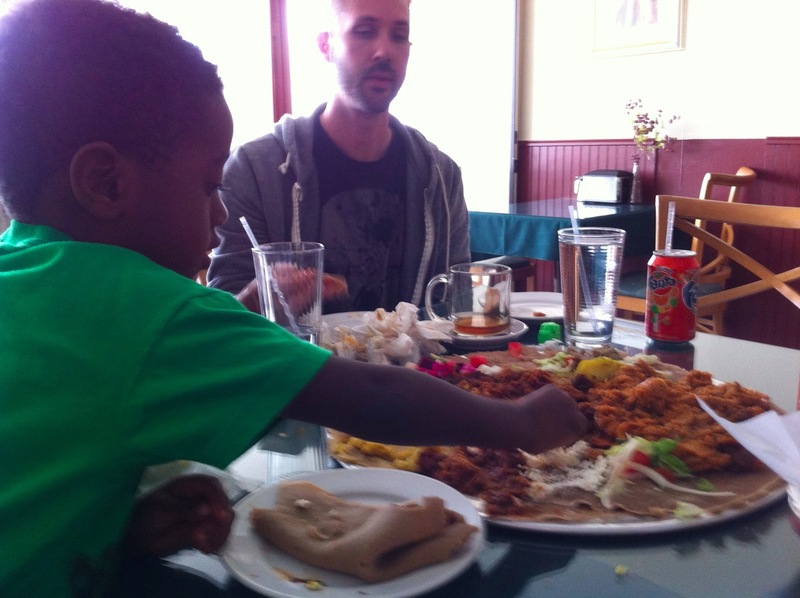 Judah INHALED the lunch and ate just like an Ethiopian, with the flick of his wrist picking up the doro wat with a hunk of injera. It was food to my soul to watch his roots come to life!!! 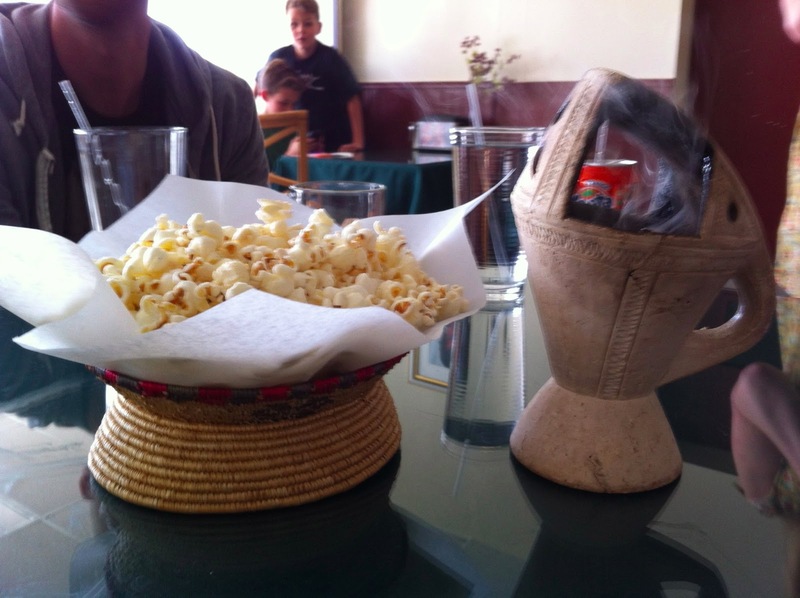 After lunch was over we splurged on the coffee ceremony, which includes burning frankincense and nibbling on popcorn. 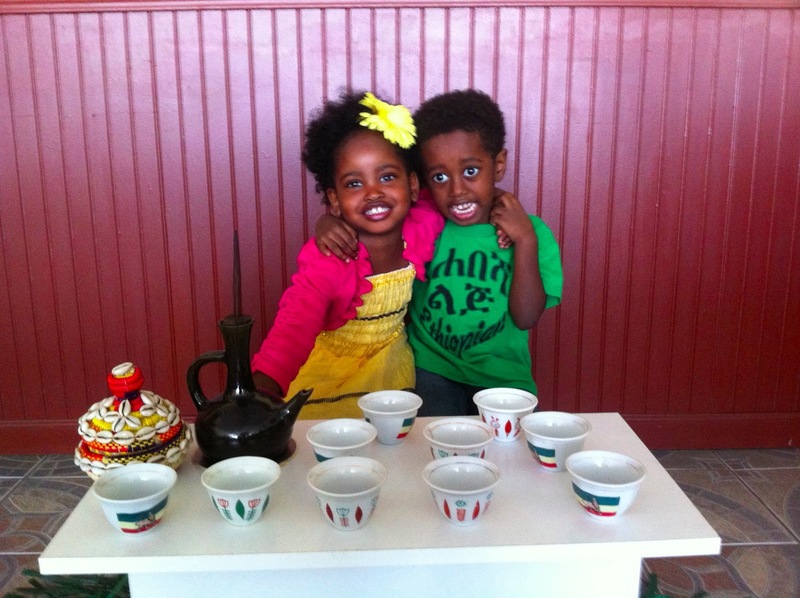 One of my favorite things about Ethiopian culture!!! 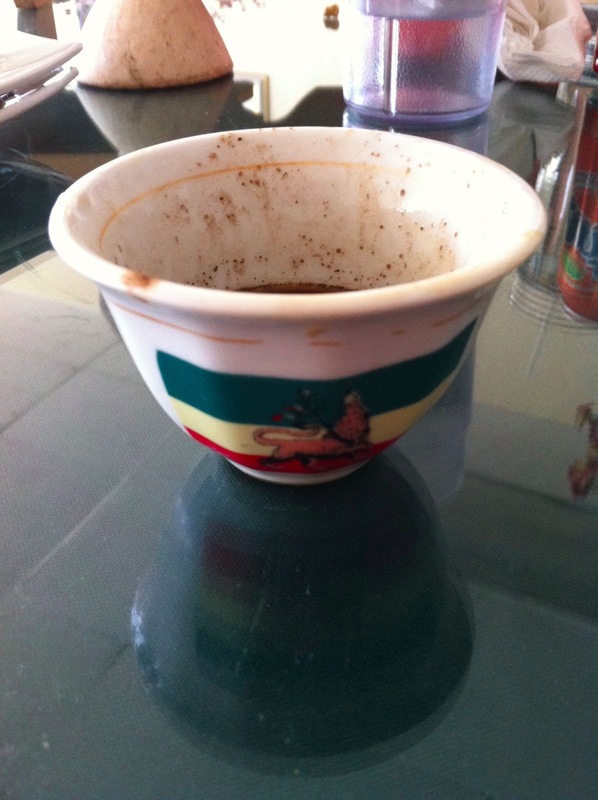 Empty coffee cup with the colors of Ethiopia and the Lion of Judah. We will be back for more. Often. Soon.